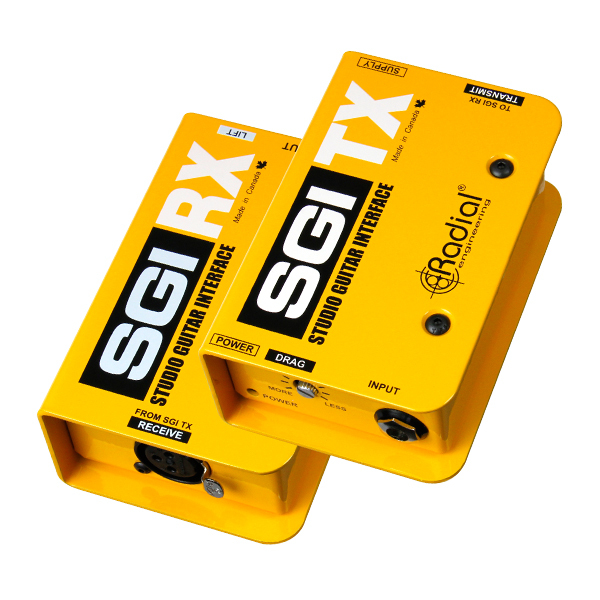 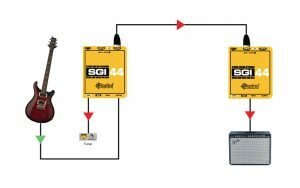 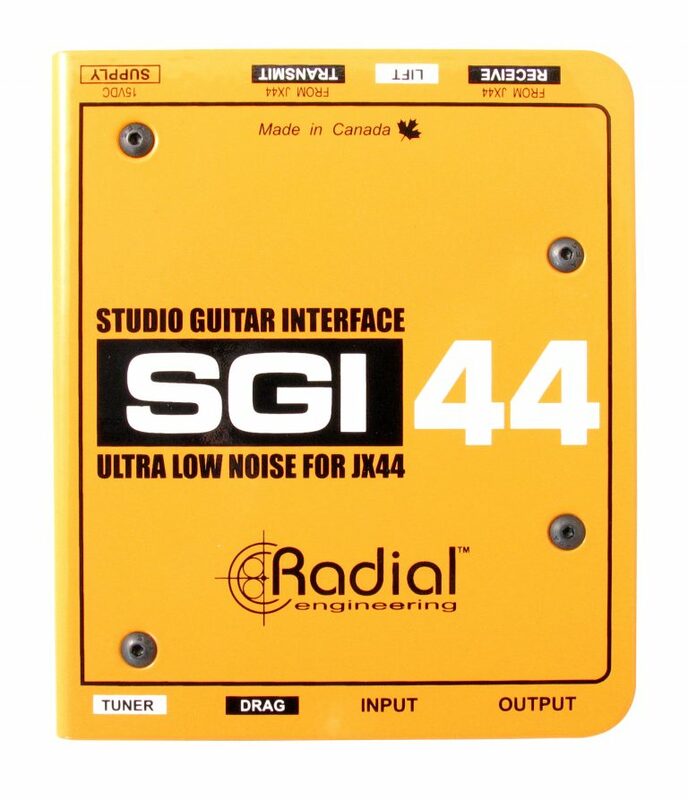 The SGI-44™ is a line driver for guitars and basses that connects to the JX-44 to allow a remote pedalboard to be connected without signal loss or noise. 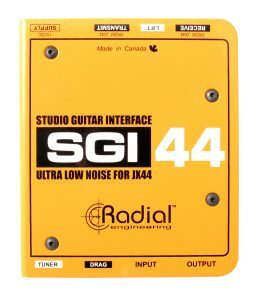 The SGI-44 can send guitar signals over long distances without signal loss or noise, with built-in send and receive functions for bidirectional signal routing. 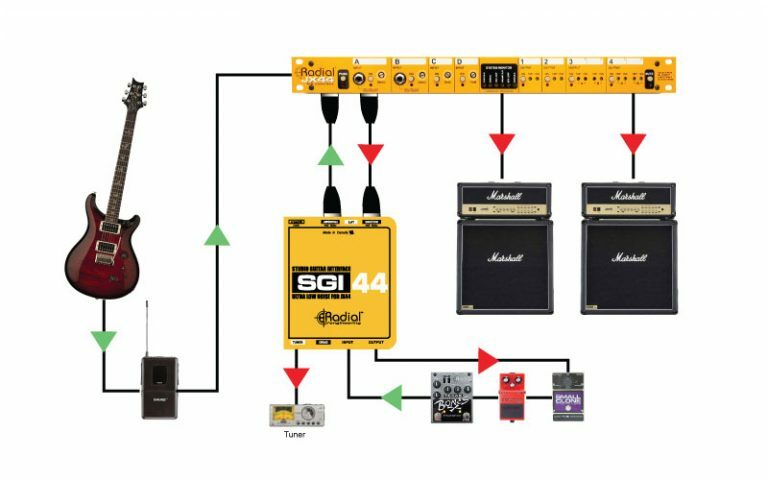 When used in conjunction with the JX-44 guitar and amp switcher, it allows you to keep your pedalboard at your feet on stage, while instrument switching and amp control is managed remotely by your stage tech. A pair of SGI-44s can also be used together to extend the effects loop of your amplifier to any point on stage, so you can keep your favorite pedals connected to the amp's effects loop no matter how far away your amp is located. 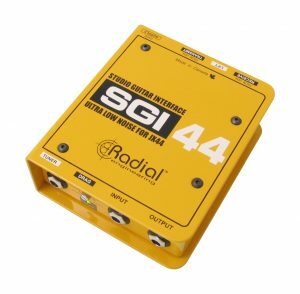 The SGI-44 takes care of all the balancing, buffering, and impedance matching to ensure your signals are delivered without noise or distortion. 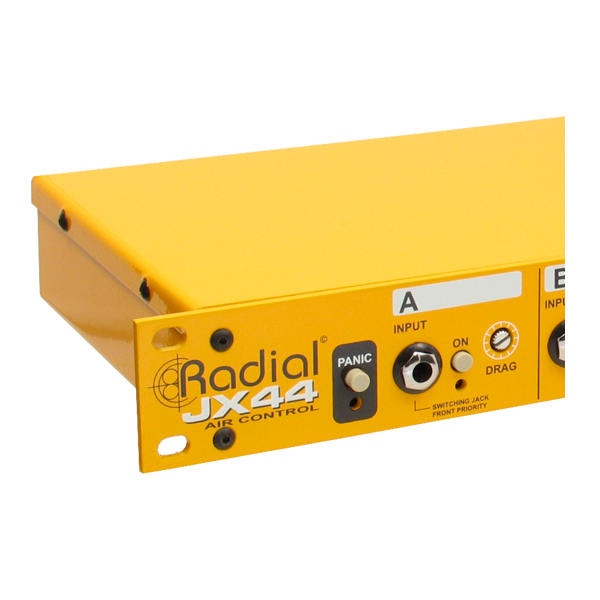 The Radial JX44 comes with a built-in SGI-44 to make distant effects routing easy. 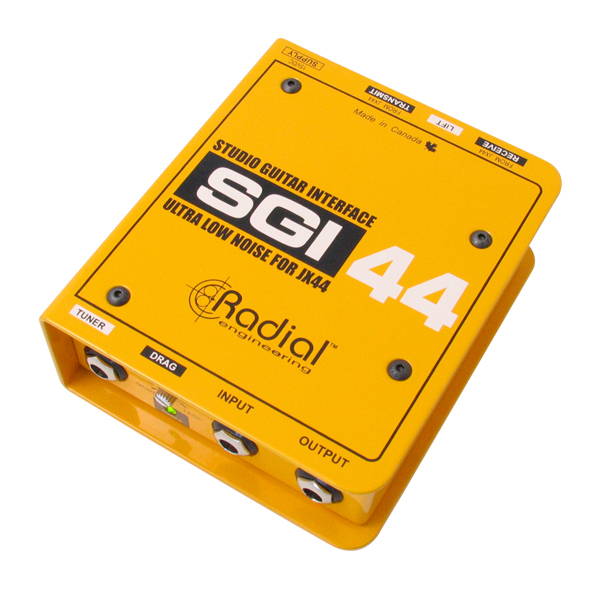 Simply connect the JX44 to the SGI-44 using a pair of XLR cables to route the signal from the wireless receiver bank out to the pedals and back. 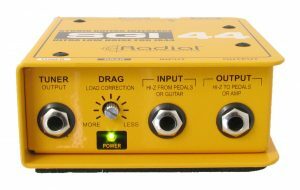 The SGI-44 lets you incorporate a pedalboard as if connected directly yet does so without noise or signal loss. 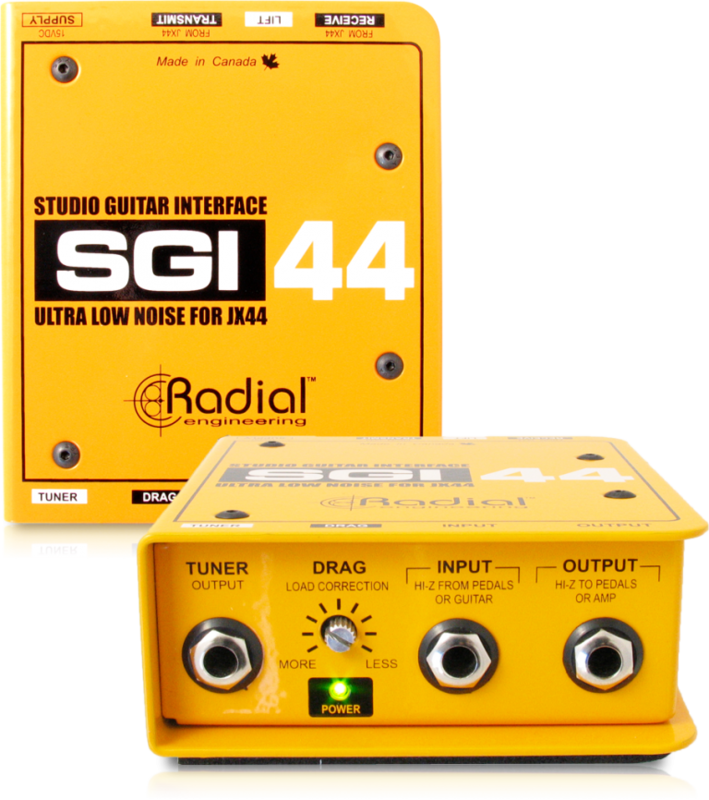 The Radial SGI-44 lets you play guitar using your 100 watt amp in an isolation room while you listen to the performance in front of your studio monitors. 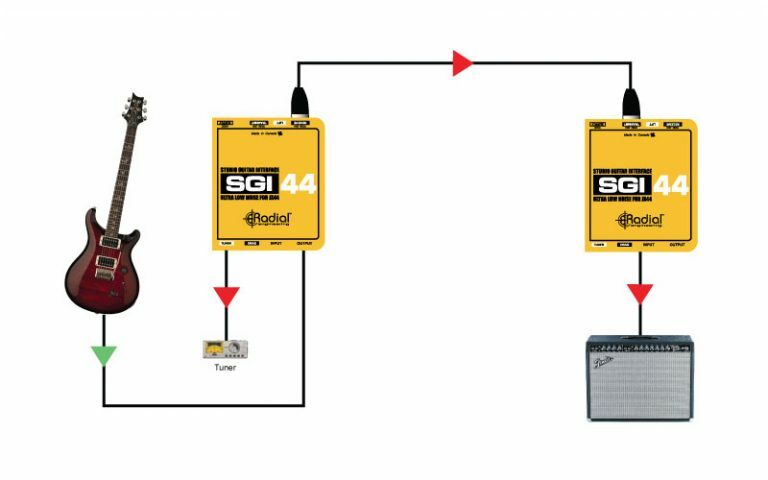 Connect your guitar to the first SGI-44 and run an XLR cable to a second unit using the studio XLR tie lines. 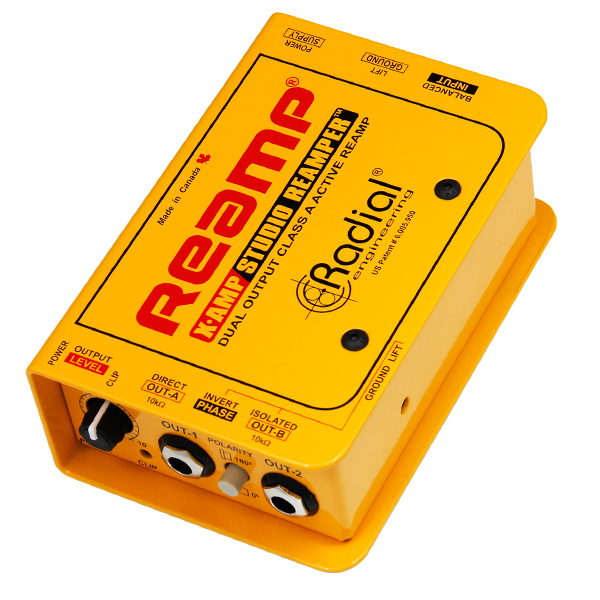 Connect to your amp at the other end. Adjust the Drag Control to correct the load and optimize the signal for the right feel and you are set to go! 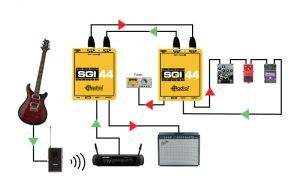 Routing the guitar signal from the wireless system to the pedals and amps is usually problematic due to induced electromagnetic fields and noise caused by ground loops. The SGI-44 solves the problem with a 100% isolated signal path and easy connections. Set one SGI-44 near the wireless receiver and a second at the pedalboard. 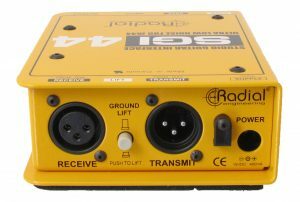 Connect using XLR cables and you are set to go!